Facebook confirmed last week plans to add the option to “unsend” a message to its Android and iOS apps. Although it mentioned that the new feature will be “coming soon,” there was telling when exactly it will be made available to everyone. 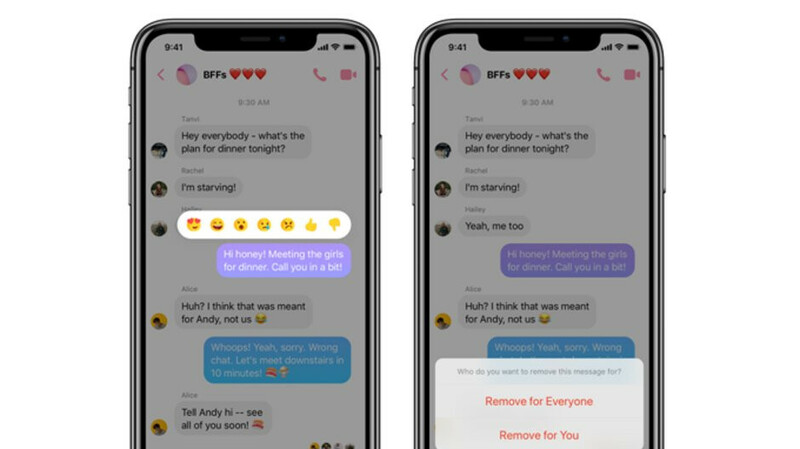 Today, TechCrunch reports Facebook Messenger announced the Unsend message option is rolling out in waves. The first countries to get the feature are Bolivia, Colombia, Lithuania, and Poland, so if you live in any of these, make sure to check whether your app now includes the Unsend message option. In order to delete a message that you mistakenly sent, you'll have to tap and hold on the message and choose the “Remove for Everyone” option. The message will be permanently deleted from both recipients, but Facebook will hold on to that message for a little while just to be sure that it can review it if it's reported for harassment. Keep in mind though that there's a 10-minute limit on the feature, which means that if you don't “unsend” the message during this time window, you won't be able to do it at all. Apparently, Facebook thinks that people who delete messages sent by mistake do it after less than a minute, so the 10-minute time window should be more than enough for this particular case.